Jide, 36, died in London on Wednesday, November 1, 2017, leaving behind a wife and three boys. 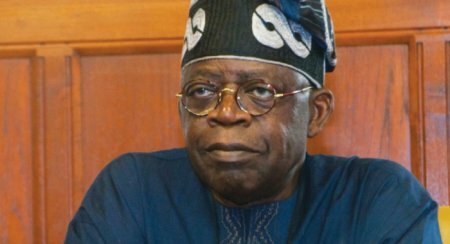 The National leader of the All Progressives Congress (APC), Bola Tinubu has cleared the air on the cause of his son's death. Tinubu's eldest son, Jide, 36, died in London on Wednesday, November 1, 2017, leaving behind a wife and three boys. In a statement issued on his behalf on Thursday, November 2, by Tunde Rahman, his media aide, Tinubu described the deceased as "highly intelligent person with a vibrant personality and a zest for life". Contrary to the speculations that Jide died of alcohol poisoning, the former Governor of Lagos State said his son died of cardiac arrest. Tinubu said, "Those who knew him could not help but like him. Yet, he was taken away by cardiac arrest when it seemed he had so much life to still live. "This is a reminder that we must live each day to its best as none of us knows when our last day shall be. "Mortality comes upon us all. We have no choice in that but we do have a choice whether we shall be good or bad, just or unjust. Let us all strive toward the best in ourselves. "Jide lived for so long in London and there he has left behind a darling wife and three precious boys. My wife Remi and I have gone to London to be with them at this painful time to support and help them. "Please excuse our absence from Lagos for a while but it is essential that we are with them. Prayers are being offered and will continue to be offered for the repose of his soul. I have suffered a grave loss that no parent would like to bear." Some online media reports had claimed that Jide had too much to drink at a nightclub prior to his death.